January saw After Hours Live get a fabuolus start for 2014 with the ever popular After Hours Poetry Open-Mic night. This saw several poets and lovers of poetry read poems they had either written themselves or just simply love to read (even if written / published by others). 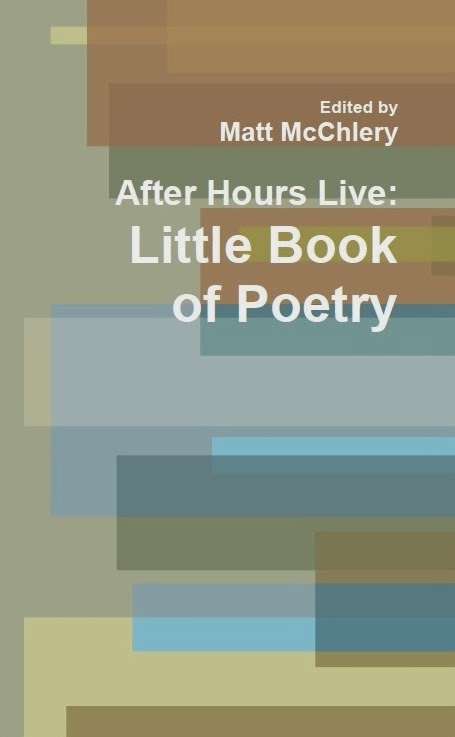 The evening had an added bonus in that it was also the launch event of the new After Hours Live: Little Book of Poetry. Local poets who have read at After Hours events in the past contributed to the book which contains 21 poems that cover a variety of themes, and some with a twist of faith. The book will be available for purchase at the price of £4 at all After Hours Live events this year. Profits go towards the running costs of After Hours Live. There is a fantastic line-up of artists for 2014 who will be appearing as apecial guests at After Hours. Among them are Noel & Tricia Richards, Daughters of Davis, Henry Olonga and South African Stand-up Comedian Mark Palmer. Visit the After Hours website for more information or pick up a 2014 'Artist Line Up' card at Octavia's Cafe to keep informed of who is playing/appearing when.